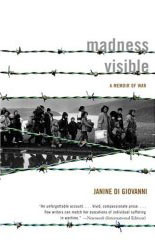 Janine di Giovanni is a Senior Fellow at Yale University, the Jackson Institute for Global Affairs. She is the former Edward R. Murrow Fellow at the Council on Foreign Affairs in New York. She has worked for over 25 years as a human rights reporter/investigator in conflict zones in the Balkans, Africa and the Middle East. She is a skilled foreign policy analyst and specialist in strategic communications, available for lectures and public speaking worldwide. Her most recent book, THE MORNING THEY CAME FOR US: DISPATCHES FROM SYRIA has been translated into 26 languages and called "searing and necessary" by the New York Times. In 2016, she was awarded the Courage in Journalism Award for her distinguished work in war zones focusing on tracking war criminals over the past 25 years, most recently, Syria and Iraq, with a concentration on ISIS. Janine di Giovanni is available for worldwide lectures. See CNN and the International Womens' Media Foundations tribute to her. Janine di Giovanni sits down with Cameron Munter to discuss his latest book "The Morning They Came For US: Dispatches From Syria," which explores the personal stories of those affected by the conflict in Syria. Janine di Giovanni, a senior fellow at Yale University's Jackson Institute for Global Affairs and the author of The Morning They Came For Us: Dispatches from Syria (Liveright, 2016), talks about her reporting for Harper's Magazine on Christian communities under siege in the Middle East. Jim Zirin-What Is It Like to Work in a War Zone?